‘No human being is illegal‘ headlined a recent article in the Guardian, stressing how “the phrase ‘illegal immigrants’ is neither ‘accurate nor neutral’.” Heard time and again in the US presidential campaign, it’s yet another example of a dubious, ubiquitous term shaping the political debate — and yet another reason for the UNU Jargon Buster. Our glossary app not only clarifies hundreds of social, political and economic terms, it aims to be a reference point for global debates on migration, development, the environment and all major UN issues. Now almost a month after our launch we wanted to share a ‘roadmapp’ of where we stand, where we’re heading, and who’s on board: from new partners around the world, to our technical plans, to all the hard numbers. December 10th is our first ‘mensiversary’! Now, one month on, we’re delighted to announce several new outreach partners, including three UN Information Centres: in Indonesia, Namibia and the USA. On the institutional side, we’re thrilled to welcome on board UNU-FLORES in Germany, and we’re also in talks with three UN agencies in Austria and Switzerland. Right from day one, the response has been overwhelming: from the President of the UN General Assembly, to the UN Library in New York, to the UN Visitor’s Service in Nairobi – helping us reach more than 5.5 million people on Twitter alone (see below). 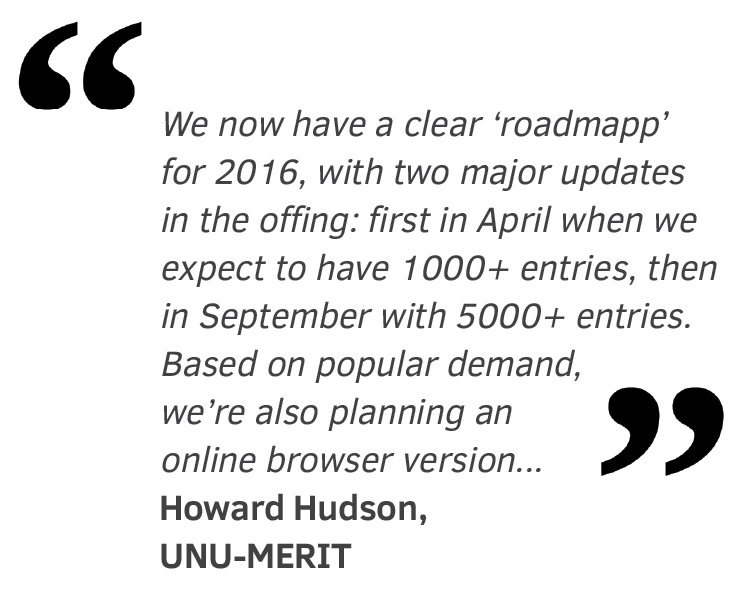 We now have a clear ‘roadmapp’ for 2016, with two major updates in the offing: first in April when we expect to have 1000+ entries, then in September with 5000+ entries. Based on popular demand, we’re also planning an online browser version, with the larger database hosted either locally in Maastricht or with a data archive in The Hague, to be confirmed in February 2016. Ahead of next year’s expansion, we’ve been exploring how to work with distant partners on ever bigger datasets. Thanks to a brainstorm with friends at Brussels’ UN Regional Information Centre (UNRIC), we’re now planning to use a ‘controlled wiki’ (backend software that lets partners add terms before we edit, tag and approve them), attached to a ‘synchronising module’ (designed to push backend updates seamlessly to the frontend user interface). Another aspect involves improving our tagging and cross-referencing. This is about how terms relate to the various Sustainable Development Goals (SDGs) and about how they link in to one another. A simple example of this would be how ‘brain drain’ relates to ‘brain gain’. This was done manually with the original 450-entry set, but will be increasingly difficult with 10 times that number. So we plan to design smarter architecture with the help of our in-house information specialist. Finally, we expect to launch Version 3.0 on the first anniversary of the UN Sustainable Development Summit, 25 September 2016 [Update: this will now take place at the UN Palais des Nations in Geneva on 10 November 2016, World Science Day for Peace and Development]. With our two main goals of improving inter-community dialogue and encouraging public understanding of UN work, particularly the SDGs, this will be the perfect opportunity to push up and ahead to the next level. For more details, please check the app landing page. Howard Hudson runs the communications office at UNU-MERIT. 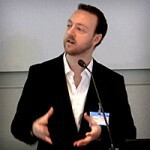 He previously worked at Amnesty International HQ, Chatham House, the European Journalism Centre, and the European Parliament.